Peter Moores, sent packing by the England Cricket Board in the last week, continued to tread on razor-sharp glass shards as each day passed. From what was a dreadful World Cup tournament stemmed some dark times for players, coaches and the administrators. Moores last a tad over a year in the national coaching role, in his second stint at the helm. His record was a bit up and down. So was the culture. Which is why the selection of a new coach is that much more important. Like the team captain, the coach is a leader, authoritative in voice and confident in stature and strategy. Jason Gillespie, the former Australian fast-bowler with the flying black hair and a spectacular double-hundred to his name, has been touted as the most likely candidate to potentially be appointed to the position. “Dizzy” turned down the Adelaide Strikers Big Bash League coaching role because of his loyalty to Yorkshire over the previous county seasons. That’s saying something – and it has everything to do with loyalty. Time and again, the ECB looked like they decided to cover cracks with ugly glue that never really stuck. When the important issues arose, they almost pushed those aside for trivial matters. Case in point, the World Cup. Yorkshire currently have six players on England’s list, a telling sign of the structure and hard work at the club. Joe Root has shone where others have not. Put Gillespie at the helm of England, and you not only have a man who’s already in-the-know about half the players, but had some great balanced success as a coach. There should be no animosity if an Australian is appointed coach of England; after all, a South African coached the Australian team. Justin Langer has also been suggested as a replacement. While a very tough, very intelligent and talented player – as emphasised by his test record – Langer feels a bit out of place putting his name against the position. 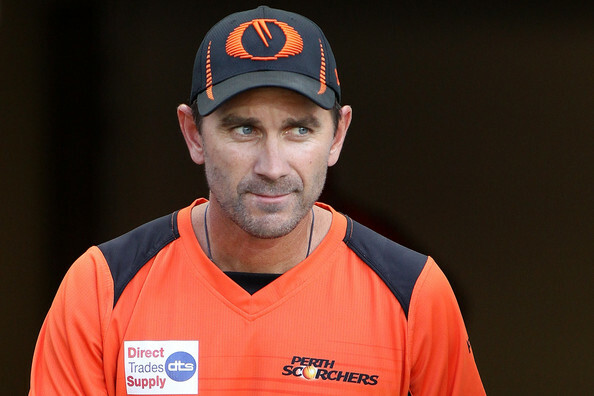 Currently coach of Western Australia and the Perth Scorchers, the former left-hander has certainly established an impressive resume at domestic level. Right now, the England team needs aggression; not the pushy, bossy I’m going to bend you to my will type aggression, but confident, driven aggression that oozes positivity, on and off the field. In the same vein that Strauss was selected as a Director, the coach has to be selected in the same way – proactively. Peter Miller, a freelance cricket writer in the UK, tweeted that Strauss, while a fantastic leader, is completely the wrong man from the job. So here’s the toss-up; does the coach come in from around the England set-up, ie Gillespie, bringing with him experience and knowledge of players inside the national team? Or does the ECB go with an “outsider” with natural aggression, but potentially with the ability to walk into an already catastrophic situation and have the tide turned against him? Paul Farbrace is the current caretaker coach, but it won’t work in the long term. The atmosphere is far too stale. 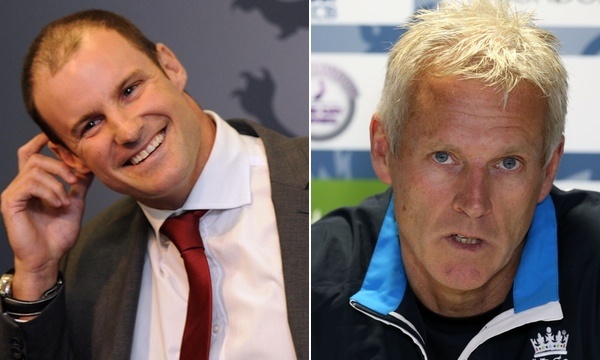 Sky Sports have suggested the likes of Michael Vaughan, Gary Kirsten and Andy Flower. The first has never coached, and while the other two have experience at the top level, there’s still not that breath of fresh air emanating. The ECB must not turn tails now with the search. More importantly, all thoughts and speculation that Gillespie as the coach of England would cause some issues in the upcoming Ashes need to be banished, or forever further tarnish what has been an already troubled period in England’s history. It seems there’s enough being thrown into the gauntlet that’s allowing England to move slowly forward, akin to a snail. As it has ultimately been put, Strauss now has the final throw of the dice as to the new coach. Doing so, he is stepping on fine lines. Moores never looked like the entire problem; management and disorganised chaos never really helped him benefit and impart proper methods. Granted, his “appearance” to the public wasn’t perfect, and the World Cup campaign brought that truly into the spotlight, but he had the experience to back it up. Future thinking means future moving. There’s the mentality for Strauss to use. While Gillespie seems to be the true front runner, it is critically about blending experience, knowledge and the ability to impart general wellbeing on a side. Something that England and the ECB have missed in recent times. Change is coming, the next question; how long’s it going to take?